Your contractors’ insurance, which includes your workers’ compensation and general liability coverage, provides your greatest tools for risk management. Each of these roofing insurances, general liability and workers compensation, respectively protects you from claims generated by your customers and employees. 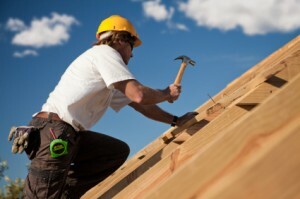 The period throughout the installation of the roof sheathing is one of the most hazardous times during the construction of a roof because of uneven roof sheathing, wind gusts, and unstable roof structures. 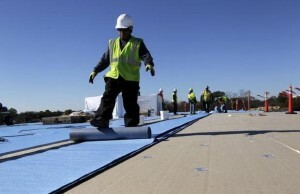 The deluge of new roofing products on the market has been accompanied by a wide array of manufacturers’ warrantees on materials and roofing systems. 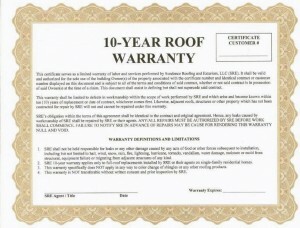 These warrantees can save your homeowners money on future repairs to their new roof. These warrantees can also help decrease the claims on your general liability insurance. 45% of the dollars spent on workers compensation claims are doled out for falls from higher elevations. The high dollar figures incurred by these on-the-job accidents reflect the serious nature of the injuries that workers suffer during a fall. 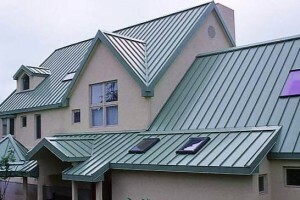 You may not have as much experience installing metal roofs as the conventional asphalt ones.Because you are not as skilled in the area of metal roofs, there might be defects in your workmanship. Your homeowners might seek compensation for these defects through your roofing insurance. 99.7% of America’s employers own small businesses, ones that employ 500 or less workers. 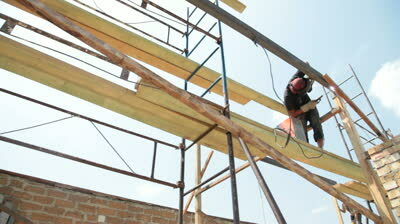 These companies offer an excellent opportunity for you to get bids on roofing projects.